Other photos: Photo 1, Photo 2, Photo 3, Photo 4, Photo 5, Photo 6, Photo 7, Photo 8, Manufacturer Provided Image, Manufacturer Provided Image, Photo 11, Photo 12, Photo 13, Photo 14, Photo 15, Photo 16, Photo 17, Photo 18, Photo 19, Photo 20, Photo 21, Photo 22, Photo 23, Photo 24, Photo 25, Photo 26, Photo 27, Photo 28, Photo 29, Photo 30, Photo 31, Photo 32, Photo 33, Photo 34. 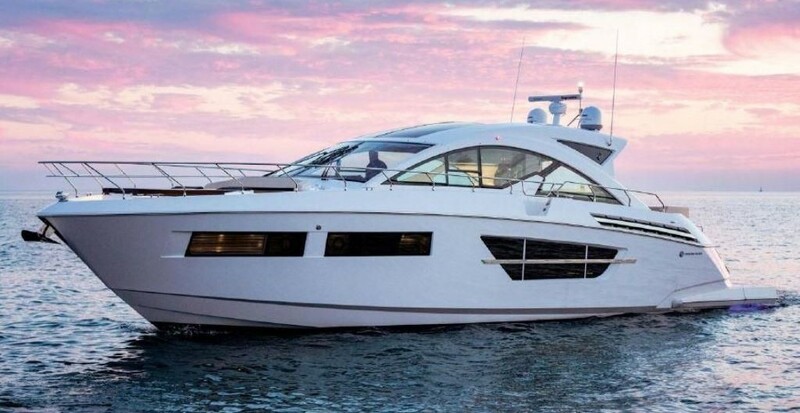 This 2013 Cruisers Yachts 48 Cantius is a now available for sale, Feisty is a one owner vessel that has been meticulously maintained . She offers 435 HP Volvo Penta engine package and a Koler 15.5kw generator, spacious 2 salon 2 stateroom interior with beautiful cherry cabinetry and solid surface tops through out. This boat is loaded with options including a upgraded Garmin electronics package. You will not find a nicer 2013 on the market and is priced to sell..
SYS Yacht Sales is pleased to assist you in the purchase of this vessel. This boat is centrally listed by Heritage Yacht Sales.